On April 3, 2014, the first International Space Science Institute-Beijing (ISSI-BJ) Board of Trustees (BoT) Meeting was held at ISSI-BJ. 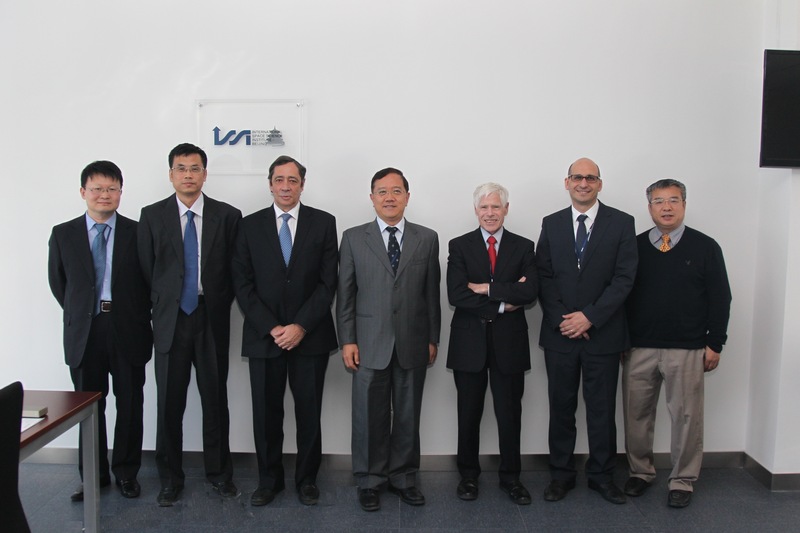 Five board members of ISSI-BJ, Professor WU Ji and WANG Chi from National Space Science Center of Chinese Academy of Sciences (NSSC, CAS), Professor Raphael Rodrigo from International Space Science Institute (ISSI) in Bern, Professor CAO Jinghua from the Bureau of International Cooperation of CAS, and Professor Roger Bonnet as an individual member from international space science community, attended the meeting. Prof. WU Ji, Director General of NSSC, CAS, chaired the meeting. 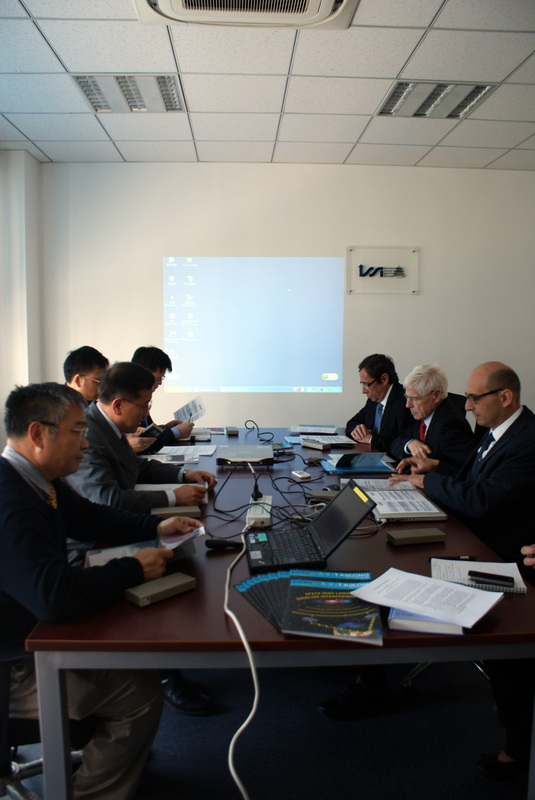 Prof. Maurizio Falanga, Executive Director of ISSI-BJ, presented the Implementation and Operation Report of ISSI-BJ (3.2013-3.2014); Prof. Dong Xiaolong, Administrative Director of ISSI-BJ, presented the Financial Report of ISSI-BJ (execution of 2013 and budget of 2014). Both reports were approved by the the board. The board members discussed the Regulations of the Board of Trustees of ISSI-BJ and made according modifications after extensive discussion. The board approved the document. The board also touched upon the issue of sponsorship solicitation from potential agencies, and agreed to extend the sponsorship to make ISSI-BJ more visible in the international space community. Prof. CAO Jinghua, ISSI-BJ BoT member and Deputy Director General of Bureau of International Cooperation of CAS, as the main funding provider of ISSI-BJ for the first two years, expressed his satisfaction for the progress and achievements of ISSI-BJ and intention of supporting ISSI-BJ for further ongoing work. After the meeting, the first annual dinner of ISSI-BJ was held. Representatives and guests from government departments, research institutes, universities, industry and Swiss embassy attended the activity.